Salut, Cadancers! 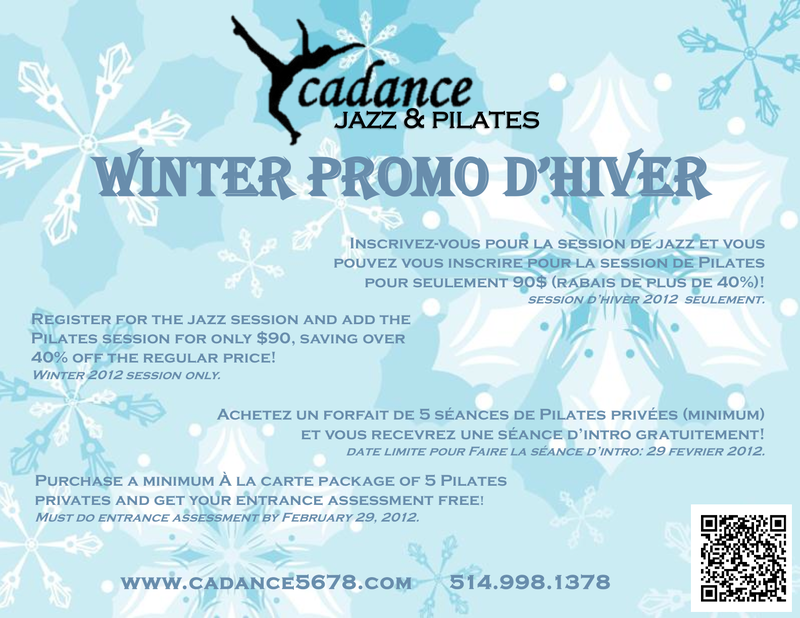 I wanted to let you know about the special deals for our winter session. Looking for a longer, leaner you for 2012? Need a kick-start for your new year’s resolutions? Profitez-en! Si vous avez des questions concernant le cours de Pilates, don’t hesitate to ask me! And don’t forget that there is still show choreography to learn in the jazz classes so it’s not too late to be part of the super show. However you choose to celebrate the holidays, I wish you all a merry time with your friends and family. Be safe, be well, and I’ll see you next year! Joyeuses fêtes!